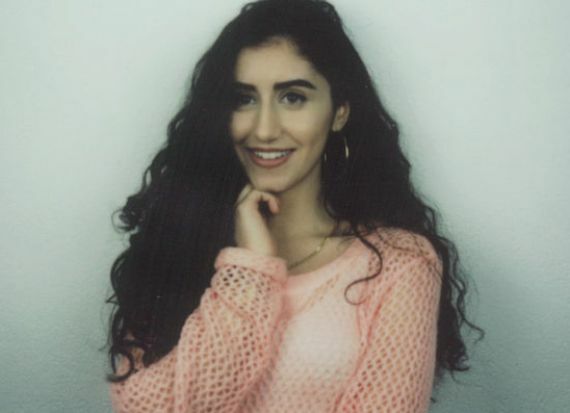 Naaz is an 18-year-old singer/songwriter/producer from Holland, who immediately captures your attention with her distinctive voice. Having a Kurdish background, it took Naaz quite some time and effort to convince her family to allow her to follow her passion. During that time, Naaz taught herself to write/produce/record her own music, so she could still be able to make music regardless of any circumstances. Now with her family lovingly by her side, she wholeheartedly encourages other artists to do the same and never give up on their dreams. As she locked herself up in her bedroom for a November weekend, the result was the start of her debut EP 'Bits Of Naaz'. The quirky, playful yet subtle productions compliment her voice and put the main focus on her heartfelt lyrics. Naaz is now ready to leave her bedroom studio and share bits of herself to the world..